This Writer-to-Writer Interview with Amy McNamara touches on telling ourselves stories in the face of things we don’t understand, the art she turns to when writing isn’t going well, and so much more about her debut YA novel, Lovely, Dark and Deep (Simon & Schuster BFYR, on sale TODAY). I’m excited to tell you about a beautiful, lyrical debut novel called Lovely, Dark and Deep—one I haven’t stopped thinking about since I finished. To celebrate its release today, I have the author, Amy McNamara, here with a writer-to-writer interview that reveals why this novel was written and how it came to be, and which I hope will entice you to pick up this book. So what’s the story behind Lovely, Dark and Deep? Amy McNamara: Hi, Nova. First, thank you so much for having me on your blog. 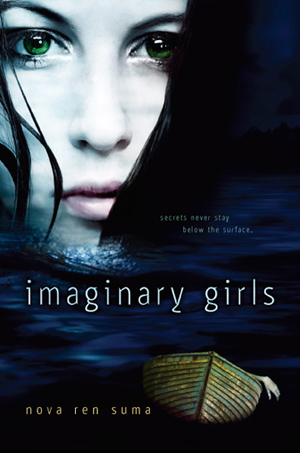 I really loved Imaginary Girls. I loved the deliciously eerie exploration of two kinds of intense attraction—bonds of sisterhood and the raw charismatic magnetism some people just have. I’m also a reader of your fabulous Distractions and find myself routinely grateful to you for talking about the work of writing, which is, as you know, sometimes a lonely pursuit. I wrote Lovely, Dark and Deep a few months after the sudden death of someone I loved. She and I were both writers and mothers and I was thoroughly unprepared to lose her when we did. This loss thrust me into a kind of wilds of feeling I really hadn’t experienced before. I’d grieved people I’d loved, gone through mourning, but never in this way. I think Lovely, Dark and Deep was born from this wilderness inside me. There was a certain out-of-control feeling to my grief, uncontrollable tears at random times, inability to focus, and more than anything the desire to be quiet awhile, to sit still, alone, while some unnamable part of my heart came to understand what had happened. But life doesn’t work that way. I am the mother of two marvelous children, a wife, a daughter-sister-friend, and I had to keep each of those plates up in the air and spinning. About four months after the death of my friend, I woke up with Wren Wells in my head. I may have been dreaming about her, I’m not sure, but there she was on her bike, dark hair whipping behind her as she made her way through alleys of shushing pine. I could see her as clearly as if I knew her. Wren and her story really wrote themselves. I don’t recall a time I felt stuck or wasn’t sure what happened next. It was simply my job to sit there and get it all down. I think we tell ourselves stories in the face of things we don’t understand. There’s great comfort in falling, for a time, into the lives of others and letting language lead us to new truths, new ways of being. NRS: One of the reasons I longed to do one of my “writer-to-writer” interviews with you is because I’m so intrigued by your background as a poet. (I often wish I could be a poet.) You have an MFA in poetry, have published numerous poems in literary journals, and, I imagine (though please do correct me if I’m wrong), you started off writing poetry before turning to prose. What made you decide to turn to writing a novel? And how does being a poet influence the way you write and structure a novel? Did you always intend to also write fiction, or was it a surprise? 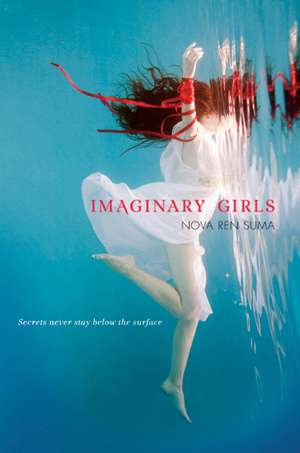 AM: I love the idea of fiction as a surprise. It has been the best kind of surprise. I hope it surprises me again soon. I actually started with fiction, when I was eight or so. I think my first story was about a cricket clinging for dear life on the hood ornament of my dad’s car. I wrote fiction until my early twenties. Then I shifted to poetry. I wasn’t rejecting prose or anything, poems were just there instead. I remained an avid reader of novels and short-stories. I didn’t think about writing fiction again until Wren and her world appeared. It was a sort of reprieve from everything, a place I wanted to visit. Writing poetry’s not so different from writing fiction. Both seem to begin with image or at least that’s how it’s worked for me. The work’s pretty similar. You read and read and read, then face the page. Set something down. Once you’re in there tinkering, the tools at hand (image, music, syntax, &c.) become apparent. Reading poetry tunes your ear to the craft of writing poems just as surely as reading fiction instills a sense of or an intuition for narrative arc and voice and all the other tricks up the fiction writer’s sleeve. Poetry has definitely informed my fiction writing. I am much more aware of syntax and music within the line or sentence—how the sounds of words influence what we understand, how we feel. I read it aloud, listen to how it plays in that reader voice, the internal one speaking when we read. I’m pretty sure I drove the copyeditors at Simon & Schuster crazy by using commas as rhythm instruments rather than in any clear or consistent grammatical sense. I think I was trying to sneak line breaks into my prose via comma. NRS: Lovely, Dark and Deep is infused with art in so many forms. From the title itself—the perfect line from “Stopping by Woods on a Snowy Evening” by Robert Frost—to your narrator Wren’s own street photography that she hasn’t been able to face during this dark year, to her father the famous artist and the world of art she escaped to when she moved in with him. Plus, in addition to being a poet, I’ve seen that you, yourself, are a photographer just like Wren. So now I’m here, romantically imagining your own life immersed in art in all its forms. Am I off-base? Does your poetry, fiction, and photography feed off one another in any way? Do you use different creative outlets for different expressions and at different points in your life? AM: Art is important in my family. In addition to his day job, my husband’s an artist and we moved to New York from the Midwest seven years ago solely because we wanted to live somewhere more arts-rich and arts-oriented. In terms of medium, language is the first tool I reach for but I love the visual arts and hope I get to have another life so I can be born a painter. I’m not happy unless I’m making something from the imagination. I tried to quit writing some years ago at a time when I was feeling unhappy about my work, but I was a failed quitter. Now when writing’s not going well, I’ll turn to another art form, like photography. One pull of photography for me is the way it slows things down. We often know what’s going on around us, even if we don’t fully see it, don’t consciously take in all the details. Photographs catch some of those things in flight and stop them long enough for quiet inspection and deeper inquiry. My honey and I just went to the Rineke Dijkstra retrospective. Ms Dijkstra’s photographs (she’s a portrait photographer) hit me like novels; the stories within them are so complete. And Ms Dijkstra is shooting actual people (as opposed to imagined people) in their actual lives. Then there’s the work of someone like Anna Gaskell who makes photographs that are purely from her imagination. Often they illustrate a story she’s telling or challenge our understanding of one we think we already know. Or the marvelous work of Amy Bennett, a painter who builds elaborate miniature 3-D sets—people in houses, for example—and there’s often something incredible going on in these scenes (someone falling down a flight of stairs or swooning on a bed or something) and then she paints the scenes she’s just built. In miniature. She constrains these emotion-packed scenes in tiny spaces. Her work is incredible. NRS: The category of YA literature seems like it’s constantly being refined and redefined today—which, personally, I find especially exciting, because I sometimes don’t know how my books, past and future, fit into the box… and I’m starting to think there is no box. I’m drawn to novels that straddle the line, novels that five or ten years ago would not have even found their way to the YA shelves. “What makes a novel YA?” I ask myself. Such a huge question, I know, because we seem to keep pushing the boundaries of what YA can be with each new season of books. 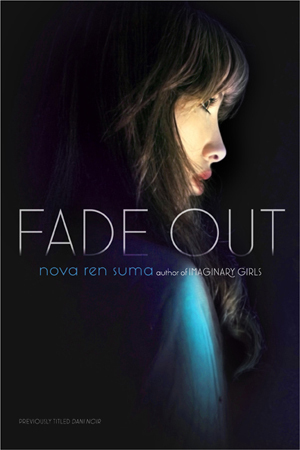 Your own novel takes place when Wren is 18, in the year between high school and college… Did you intend the novel to be “YA”—or did you write it without a defined label or spot on the bookshelf in mind? How do you see your own novel and how might you categorize it? Does this even matter? AM: I wrote Lovely, Dark and Deep without a thought for any of that. I wrote for me. I didn’t begin to think about doing anything with it beyond that until after I had a full draft. I was very lucky at that point to have several incredible people step in, ask to read it, and encourage me to take Wren’s story into the world. Since I wasn’t really writing with audience in mind, Wren’s age and emotional stage arose on their own. I was drawn to her for many reasons, some of which included feeling protective of someone vulnerable. Also, that point in life is so incredible. It’s a time of powerful questions of identity, of thrilling independence and new levels of responsibility. NRS: I don’t want to give too much away, but Wren—known as Mamie before, back in the city—is 18 and recovering from a devastating traumatic incident. She’s escaped home to do so, and is now staying in the remote woods where her artist father lives and works. It takes great skill and depth of emotion to be able to write so heart-wrenchingly, honestly, and believably from the perspective of a character who has all her walls drawn up and yet reveal her enough to let readers care about her and feel like they know her. Wren—the “grim girl,” in her own words—keeps so much buried and slowly, slowly lets us in. How did this voice come to you, and did you find it challenging to write? Did Wren let you in easily, or did you have to fight to get closer? AM: Wren’s voice came from some magic place. I woke up with her in my head. I was writing out of my own heartache and Wren’s way of dealing with, or more accurately not dealing with the world was an urge I understood. Doesn’t it seem like a marvelous solution to most unbearable pain? Rename yourself and start again? After I got her on the page, many people stepped in to help me strengthen the narrative arc. I’m especially grateful to my agent Sara Crowe and my editor Alexandra Cooper. I learned so much from them about crafting narrative and reinforcing voice by resolving issues of tension and pacing that did not come naturally to me. NRS: What were the books and authors that spoke to you when you were 18, the way Larkin speaks to Wren in this story? And what and who is speaking to you right now, today? AM: I wish I’d found Larkin when I was 18. I didn’t read Larkin until grad school. I read some poetry in high school, not a lot. I love, love, loved Salinger’s Franny and Zooey, much more than Catcher in the Rye, and I went on an F Scott Fitzgerald bender. I thought he and Zelda were marvelously glamorous, talented, and enviably wild people. I read Virginia Woolf and had a little Bloomsbury crush for a while. TS Eliot, though he was really too difficult for me, and a little Emily Dickinson. Dickinson’s compressed lyric poems were astonishing. Sylvia Plath scared me, but I was drawn anyway to the sheer force of the poems in Ariel. I was crazy for Lorrie Moore’s short fiction as well as the short stories of Ann Beattie and Raymond Carver. I also read Henry James, Nancy Mitford, Muriel Spark, Mary McCarthy. Oh, and Frank O’Hara’s poems! I nearly died from fear after reading Stephen King’s The Shining on a dare from my boyfriend and then had to turn the book backward on the shelf until I could get it back to its owner. I just finished a great novel called Butter by Erin Jade Lange as well as two collections of poems, Meridian by Kathleen Jesme, and The Game of Boxes by Catherine Barnett. I’ve just started Susanna Moore’s new book The Life of Objects and so far it’s excellent. 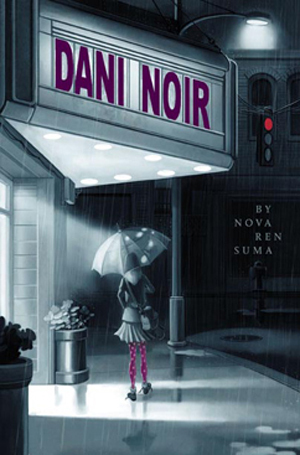 NRS: Lovely, Dark and Deep is out in stores TODAY! Who do you hope finds this book on a shelf in a store or a library? Is there an ideal reader you’re hoping will be drawn to pick this up this stunningly beautiful cover and start reading? I hope s/he finds it. AM: I’ve had the great fortune already to have had enthusiastic and heart-felt responses from some readers of the review copies—teen readers as well as adults. One girl wrote me a long letter about identifying with some of Wren’s feelings. You know, there can be great shame for people who are feeling bad—we live in a culture, in the United States especially, that has a lot invested in positivity and in putting your best face forward. One hope I have for this book is that it finds its way into the hands of someone who maybe isn’t feeling so hot, who maybe struggles sometimes with feeling hopeful, and who might take some strength in reading the story of someone like them. I think when we’re feeling bad, it helps to find someone else who’s put words to it. I was at a poetry lecture at the Walker Art Center in Minneapolis given by the poet Jorie Graham. She said for months she and her teenage daughter had been struggling to communicate. Her daughter was in a dark place, suffering, she could see that, yet all she could get out of her were shrugs or that she didn’t know, she was “fine.” Ms Graham told the audience that she picked up a thesaurus and highlighted all the words in it she could find that describe feelings, states of being, and gave it to her daughter to help her find her way through her dark wordlessness. I guess I hope this book finds readers who are looking for what I go to fiction for, a good story, a new cast of light, some time outside myself and in the life of another. Wow. Thank you for such an inspiring, profound interview, Amy. I’m so thrilled to celebrate your pub day with you! To all reading, Lovely, Dark and Deep by Amy McNamara comes out TODAY, Tuesday, October 16! Visit Amy’s website at amymcnamara.com, and you can also follow Amy on Twitter. You can read Amy’s poems in Drunken Boat, the 2River View, Linebreak, Spork, and 42 Miles Press. And guess what? Amy’s book launch party is a week from tomorrow at 7PM on Oct 24th at 516 Court Street, Brooklyn NY—and it’s open to the public. You should go! Everyone who entered the giveaway answered this question: What is your creative outlet? Congrats, Jamie and jennimoody! I will contact you for your mailing addresses! I hope you love Lovely, Dark and Deep as much as I do. Next Article What Scares YA Authors? What a great interview! My creative outlet is cooking and baking. I love to express myself by creating comforting foods that my friends and family can enjoy. Wonderful interview. My creative outlets are abundant. I love to make things with my hands whether it is crochet, beading, baking, or cooking from scratch. I also accidentally happened upon writing and find I have a passion for it. My creative outlet lately has definitely been blogging! I love messing around with the design and crafting my posts 🙂 Other than that, I’ve started getting into painting a little bit (although I’m postively terrible) and my amateur photography. Even if I’m not so great at it, I simply love it! I’ve had this on my list because I love lyrical novels. I love finding outlets for my creativity outside of writing. I’d love to say that it’s organizing clothes closets or the laundry but it’s not. Lately I’ve found fun with photoshop and Indesign, creating book covers for my current project to inspire me. Currently, working on the teacher’s guide for my middle grade novel has been a great source of creativity in putting it all together. And sometimes just sitting down with a blank page and writing my own bad poetry that’s just for me is a way to reach into my own heart and possibly find the seeds for a new novel idea. Thanks for that FANTASTIC interview, Amy and Nova! My passion is definitely writing, though when I get restless from sitting, I bake, do collage, and rearrange the furniture! My creative outlet is writing! I can’t imagine doing anything else. Though I’ve always aspired to be more artistic in terms of drawing + painting, my creative outlet is usually through writing. I’ve always found it imperative to express myself through the written word – whether it’s through my private journal or on the blog that I share with the rest of the world. I will say that, apart from writing, music is another creative outlet for me. I like listening to it, examining it, finding that “perfect” song for an occasion and even occasionally creating it myself. I knit. I sing. I act. I build websites. I do graphic design–postcards and logos. (I didn’t realize the list was so long until I started typing it.) Great blog topic, Amy & Nova! My outlet is decorating my house: gardening, painting, little touches here and there. It is my first house and I bought just over a year ago. I’ve always had a touch of wanderlust and couldn’t imagine living in one place for more than a year or two, but there is always a new project waiting for me and it’s become a creative challenge to really make this house my own. I also love to modify clothes, adding cool buttons or faux fur, stuff like that that make my H&M clothes unique. My creative outlet is dancing. I do modern, ballet, and jazz. Whenever I’m not having a good day, I go over to the studio down the street, turn on some music, and make up a routine. It helped me a lot after my uncle died. For the first couple weeks, I was depressed and wouldn’t leave the house. Later on, though, I found that I could let it all out by dancing. Before, dance was sort of an obligation, but now I feel like it is something I can turn to to help me. It’s especially useful because I’m pretty shy and don’t talk to people. Creativity through dance is something I’ll probably do for the rest of my life. Great blog interview! My creative outlet is time. Especially time spent asleep. I set myself a creative problem, sleep on it, and let my subconscious try to sort it out. My creative outlet is definitely writing. I also love to act, sing, and do graphic design. My creative outlet is writing and playing the piano. I actually just wrote a song using “Stopping by Woods on a Snowy Evening” as the lyrics. So excited for this give-away!